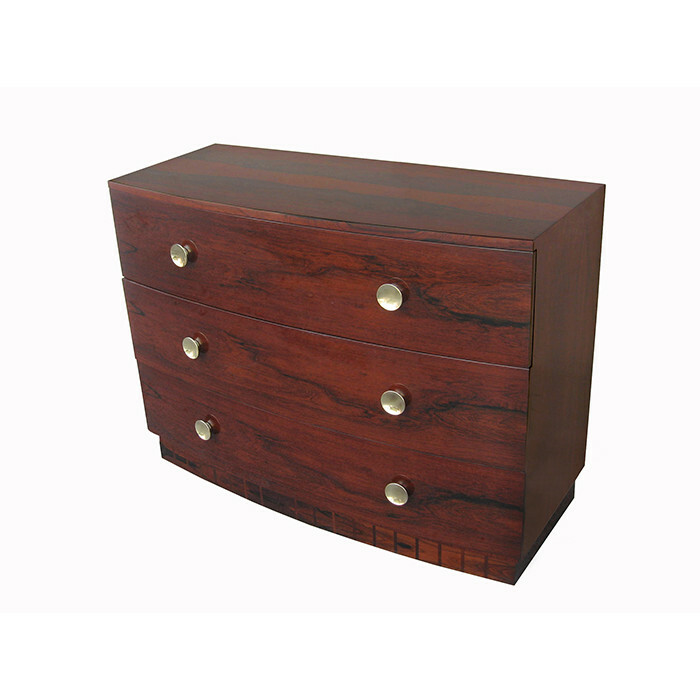 A pair of Modernist bow-front chests designed by Gilbert Rohde. African Rosewood with patinated bronze pulls. Dimensions: H:33¾ W:46 D:19 Inches.